The right to health and care on equal terms is a fundamental human right (items 25 in the UN's Universal Declaration of Human Rights) and which shall accrue to all people. 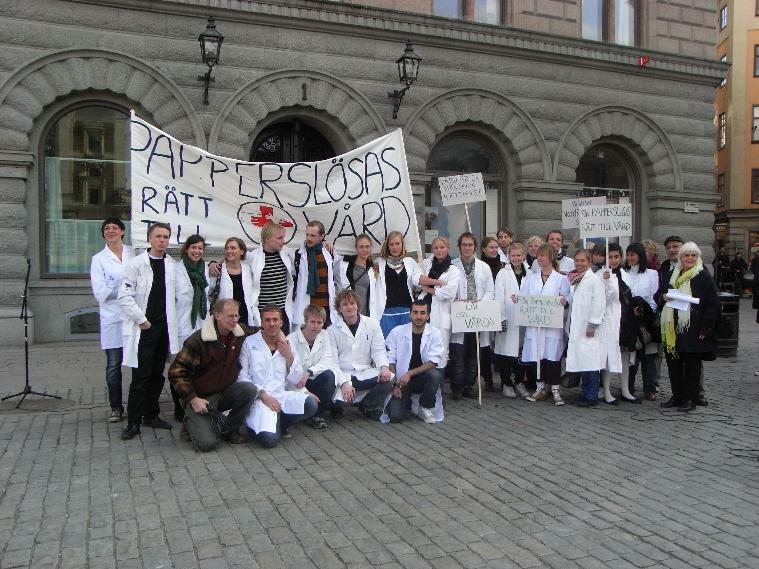 Providing care needed is a fundamental principle of medical ethics that all physicians in Sweden agrees to follow. Despite this, it is in many respects a person's legal status that determines what care hen receive in Sweden today. We in IFMSA think this is a scandal, and it is one of our most important tasks to ensure that this situation changes. Therefore, pushing the Working Group on Human Rights and Peace project Health for all or undocumented right to care. Both undocumented and asylum seekers has continued only entitled to certain health care, and will continue to be discriminated against on the basis of their legal status. The term 'health care that can not be postponed "lacks medical legitimacy. It is not defined what should be included in this, leaving the responsibility on the individual care provider to determine if the treatment in question can be "reserved" or not. Are there at all any care that can wait, a wonder? Poor knowledge among health professionals about the new law and what actually comes. There are recurrent reports of undocumented migrants who have been rejected from hospitals and health centers, despite their new statutory right to care, sometimes on the grounds that they can not prove they are undocumented - an absurd moments 22! As long as undocumented risk of expulsion if found by the police, there will always be a concern and fear among them to turn to agencies such as health care. Police aggressive hunt for undocumented, most recently in connection with REVA, blocking course of this fear. There are still groups that fall completely outside the system, not least "EU migrants" within the framework of freedom of movement within the EU is in Sweden for a long time and therefore not counted as paperless, but often come from poor conditions in their home countries and not covered by the home country's health insurance system, which means that they have to pay the full cost of care in Sweden (amounting to thousands per visit). IFMSA has long been engaged in political advocacy on the issue, on its own and in conjunction with several other organizations in the framework of Right to Care Initiative (on their website is very good information for those who want to put into question). We also work at local centers to improve education to include more knowledge on migrants' right to health and their vulnerable situation,. T.ex. we are in Umeå a lecture to medical students on the right to health care, and in Scania, we have 2017 worked with the university to get a moment of migrants' right to health care in the new training. 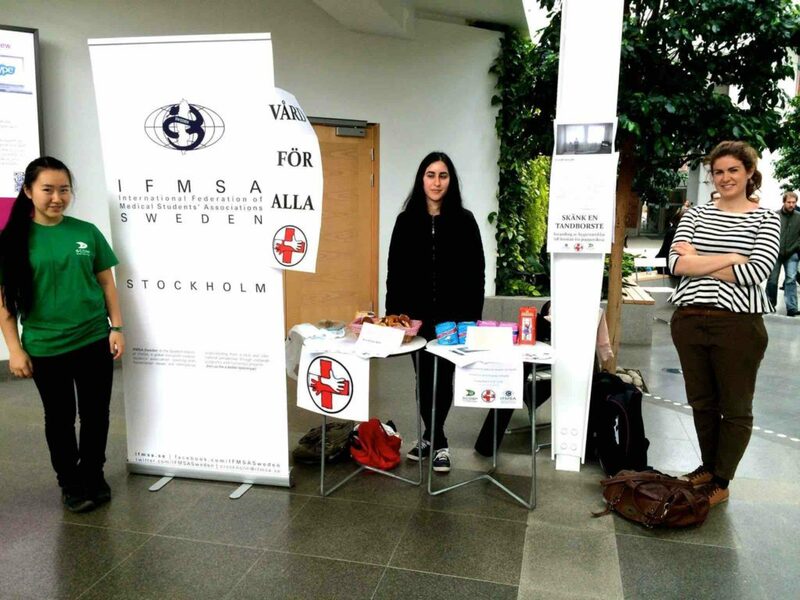 We also have ongoing partnerships with several voluntary clinics that provide care for undocumented, including Médecins du Monde clinic in Stockholm and Rosengrenska Foundation clinic in Gothenburg (previously also Tinnerö Hospital in Linköping and the Delta Clinic in Malmö), and helps them including recruiting student volunteers. If you are interested in working as a volunteer at these clinics, you can either connect directly to the clinic or the local manager IFMSA representative at the resort (Contact list see below). In addition, we organize theme lectures, workshops and try other ways to train and inform IFMSA-active, nursing students and health professionals about the situation of undocumented and others who do not have full access to health care today. Do you like us that this is something that must change? Want to know more or do you have ideas for a campaign or action that we can do to raise the issue in the media and public focus again? Do not hesitate to contact us! “IFMSA-Sweden working from an understanding that the highest attainable standard of health, including healthy- care, is a fundamental human right. We believe that this right is universal and inviolable, and should not be limited by any reason, including citizenship. We believe that legislation and directives in Sweden and the European Union do not currently reflect this, and therefore demand new legislation and directives to respect these rights. The full document can be find here, i mappen policy statements.